Interesting Facts About Saina Nehwal : Badminton has been one of the most popular sports around the world and ever since this sport has established, it has attracted millions of fans around in the process with its immense popularity .Moreover, there have been numerous Badminton players around who have proved their prowess on the badminton court over the years but there’s only been few which have made their mark with exemplary skills and performance. Saina Nehwal has been one of those phenomenal players which has not only made her mark in the International badminton world with his exceptional game, but earned herself a spot amongst the top shuttlers around the world currently. 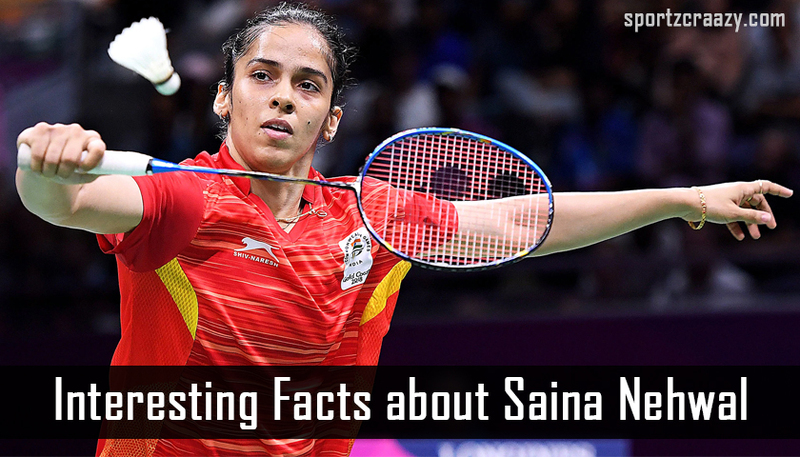 Even though she is one of the most famous badminton players of the current era, we bring you some of the most interesting facts about this ace shuttler from India. Although India has produces some of the most prolific players in different sports over the years, only few of them have been females due to les participation from the women contingent in most of the sports in the past. 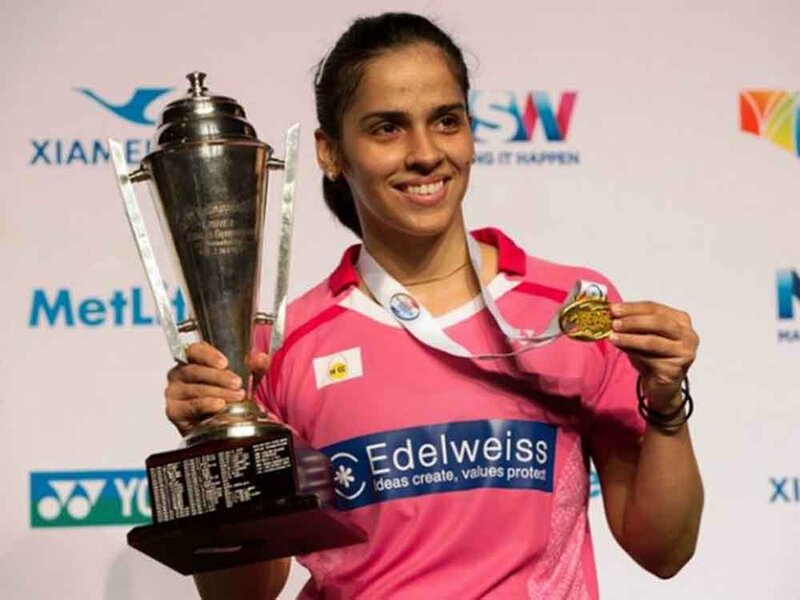 With growing awareness and advancement in education sector, even women have cam forward to make their mark in the sports world over the time and when we have to name some of the most exceptional names in the list, Saina nehwal is right there on the top of the list. 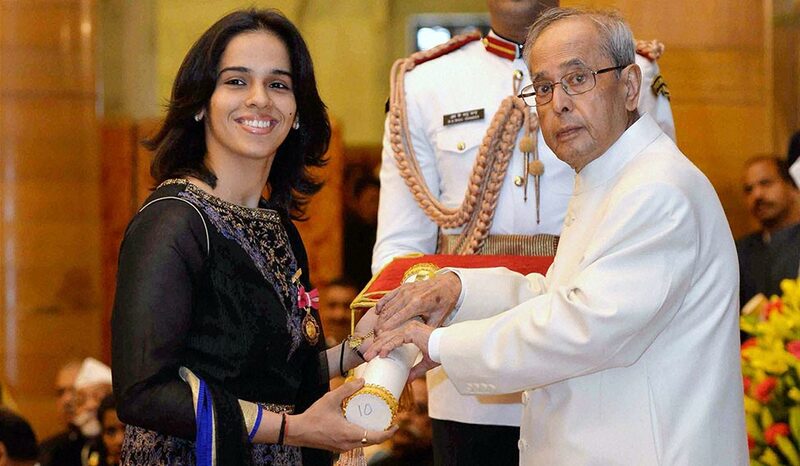 Not only she has been the most successful female athlete from the Indian Territory, she has also been awarded with some of the biggest honors like Padma bhushan, Arjuna award and Rajiv Gandhi khel ratna award which is generally given to players with exceptional contribution in the sports field from India. 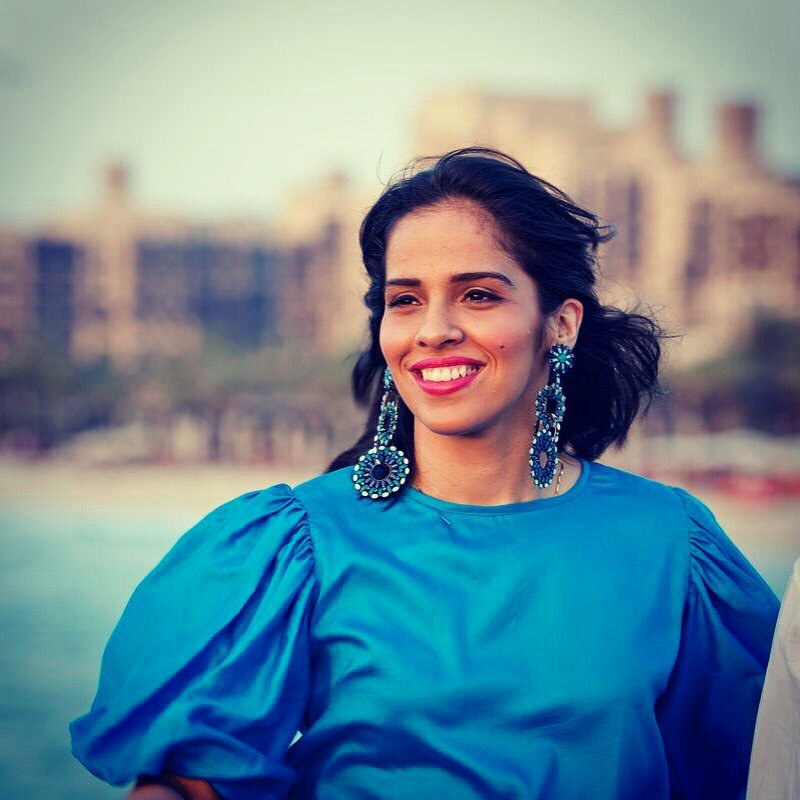 It’s quite rare that a player has also been involved in some other sports apart from the one he or she is indulged in but Saina nehwal has been an exception to the same fact. Before she tried her hands in Badminton, Saina nehwal used to be a professional karate player and she has won numerous awards in the same sports whilst participating in few sporting events on national levels. Moreover, she even holds a brown belt in the same forte. Seems like the opponents have to really stay scared of this Indian shuttler ! 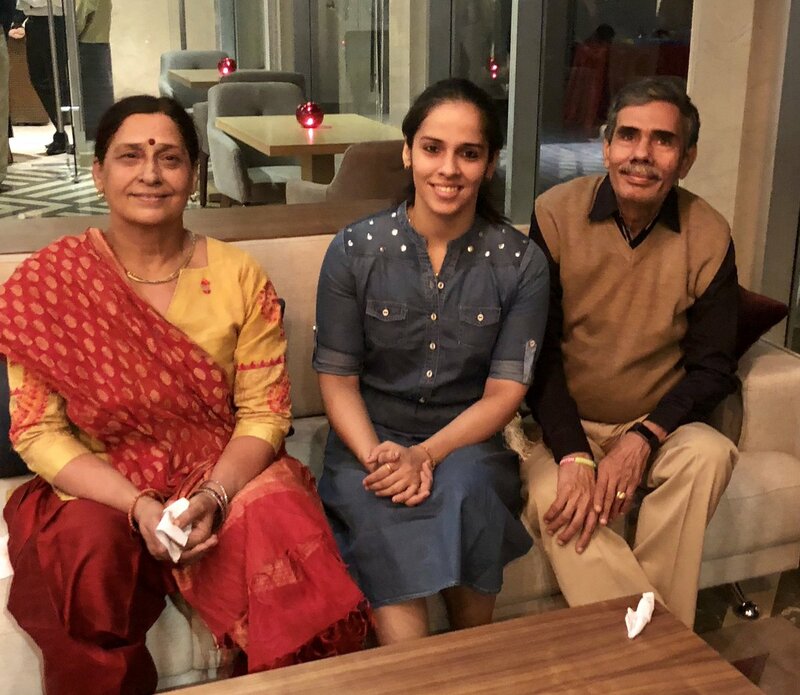 Saina nehwal was born in 1990 in Haryana and her father Harvir singh and mother Usha rani have both been champion in the same sports in the Haryana state championships. That was the main reason why her father supported her at every step and as she was not getting the right facilities to get trained on the badminton skills, her family shifted to Hyderabad in order to make her train in one of the world class sports facilities around. Looks like she is getting all the inspiration from the family only! The journey to the top for Saina nehwal has begun ever since she stepped into the badminton court for the first time. She was first coached by Dronacharya awardee SM arif and later switched to Pulela gopichand who has himself been a phenomenal badminton player for India in the past .Currently, she is getting trained under the eyes of U Vimal Kumar who is also a National champion in the past and a famous Indian coach as well. Saina nehwal has been a prolific badminton player for Indian whilst having some of the biggest achievements under her name. She was the first Indian badminton player who won an Olympic medal in the Olympics whilst claiming a bronze in London Olympics 2012.Apart from that, she was the first Indian as well who has secured the No 1 spot in the Badminton world federation ranking. Besides it, she has also won the all England championship during her career and been highly appreciated by even her opponents for her performance in the badminton court. Although we known that she was the first Indian shutller to win a Olympic medal, she has also claimed various titles in the International badminton arena during her career. She has been the youngest Asian player to win the Philippines open and also became the first women in badminton world to win the Asian satellite badminton tournament twice. Altogether, she has won more than 12 International titles in the process and this very well speaks about his success in the badminton arena. This might come as a surprise to most of her fans in the badminton world but this splendid shuttler from India loves to treat herself with an ice cream after she win a match in the badminton court. This was one of the most interesting fact about this ace shuttler which was revealed by her father during an interview with the media after she bagged the famous Olympic gold medal in 2012 London Olympics. 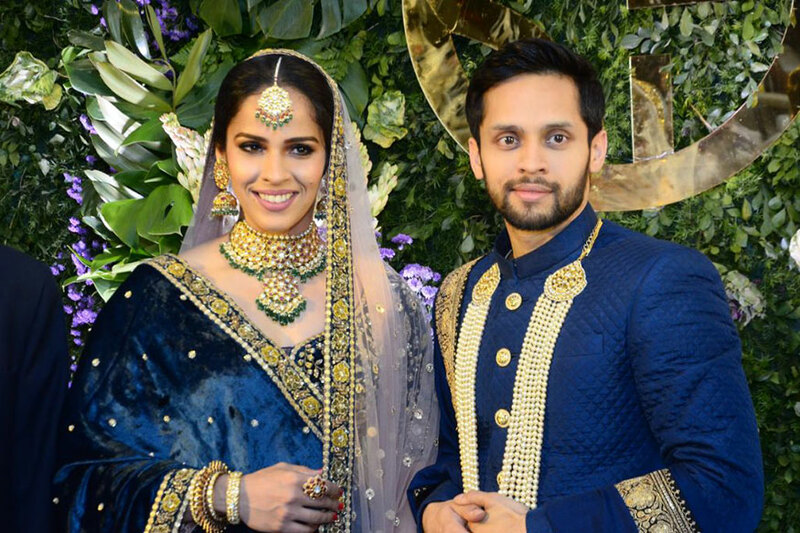 Not many people knew about it but Saina nehwal was dating another famous Indian badminton player Parupalli kashyap and both of them were together for sometime now. One of the most interesting things about this relationship was that both of them have played together many times and even got coached by the same coach Pulela gopichand in the past. Quite recently, both of them have tied knots in a private ceremony held in Hyderabad which was attended by most of the common friends and family members only. 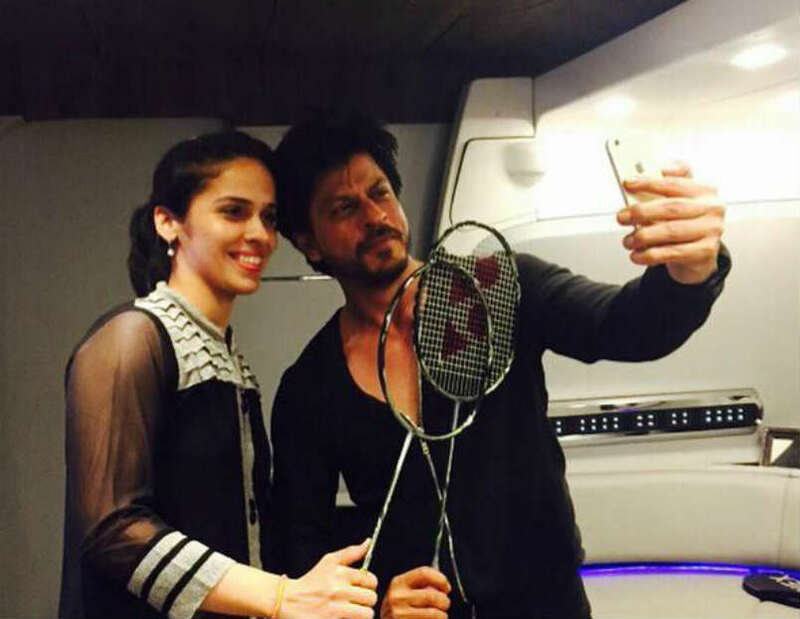 There are only few people who are aware of this fact but Saina nehwal is a big time movie buff and she is also a diehard fan of Bollywood superstar Shahrukh khan. She revealed that in a meeting with khan during a ceremony which was organized to honor Saina for her Olympic gold medal achievement and Shahrukh even did an act just on her request from one of her movies “ Kuch Kuch Hota Hai”. Although Badminton doesn’t attract that much money which is been showered on all the other sports around the world, but this exceptional player from India was once the highly paid badminton player in the world. Although she has won numerous tournaments during the same process where she has earned some big cash prizes, most of her income came from all the big endorsements which she was a part of after her Olympic gold medal achievement in the London Olympics. Apart from all the paid endorsements, Saina has also been the face of famous “ Beti bachao, Beti padhao” campaign from the Indian government started with a view to empower girl’s education in the country.